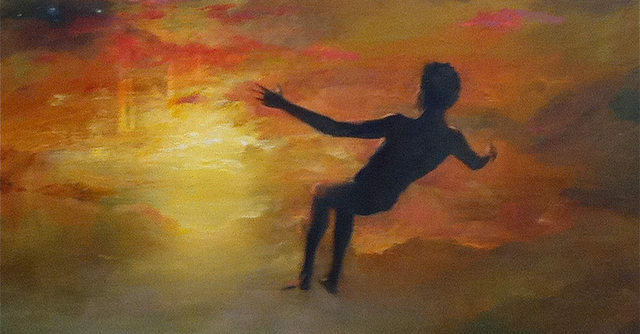 Paul Benney, Levitation. Copyright Paul Benney. 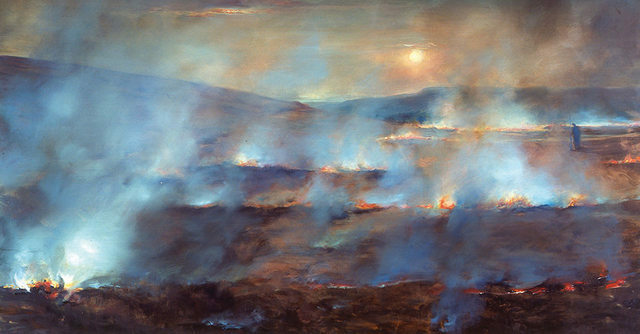 Paul Benney, Burning Moor. Copyright Paul Benney. Paul Benney, Snow in Jerusalem. Copyright Paul Benney. Paul Benney, Levitation 2. Copyright Paul Benney. Secreted beneath the fountain courtyard of Somerset House is a series of atmospheric alcoves, recently occupied by a set of elemental and evocative night paintings. 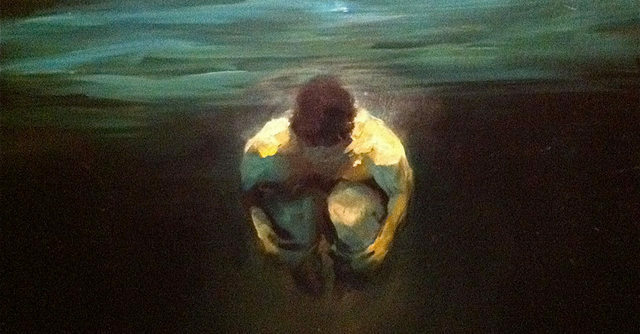 Paul Benney is an artist whose works explore the interplay of light with elements such as fire and water. 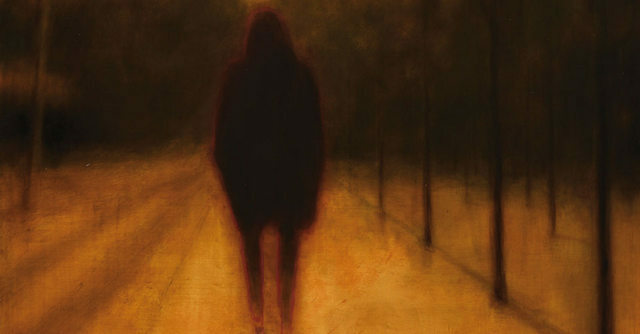 Coupled with the ghostly figures that populate his art, these ethereal works could be based in reality or an imagination let loose. They are both haunting and pulsating with atmosphere. Benney is not afraid to explore the surreal, as seen in his Satyr underwater or a figure with wax candles melting into his head. Yet many of his strongest works are those where the characters are mere shadowy outlines and the focus remains on their vivid environments. Our favourite piece is 'Walker', a motorcycle rally across what appears to be a beach. One rider has crashed and is walking away from the wreckage. The painting creates the sensation that he is dazed by the ordeal but the singular focus of reaching the finish line persists as he continues to travel towards it. It's rare for paintings and their exhibition space to be so perfectly aligned, but in this instance they build upon each other to create a powerful and atmospheric display. Night Paintings by Paul Benney is at Deadhouse, Somerset House, Strand, WC1R 2LA until 9 December. Admission is free.